Wood is a great design material. The natural grains bring the essence of the outdoors, indoors, which makes it the perfect starting point for a rustic home design. Many modern wooden furniture designs are waterproof, making it easy to incorporate them into bathroom or kitchen designs. 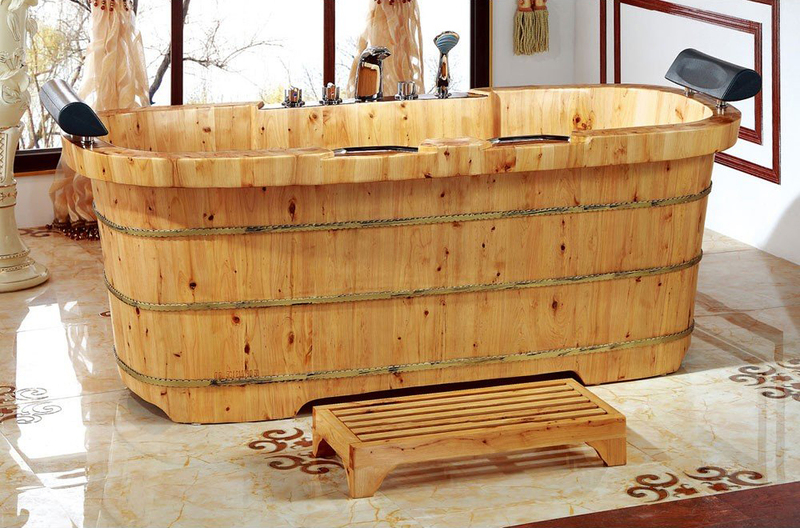 A freestanding soaking tub allows for a deeper, more relaxing soak. The natural grains are a beautiful statement and can be paired with other natural materials like stone, copper and marble for an overall rustic style. A bench in a bathroom design can be very versatile. It can be used as an extra seating area in the space around a tub, but the greatest use is within a shower. Adding a space to sit within a shower enhances the comfort and safety of the space. 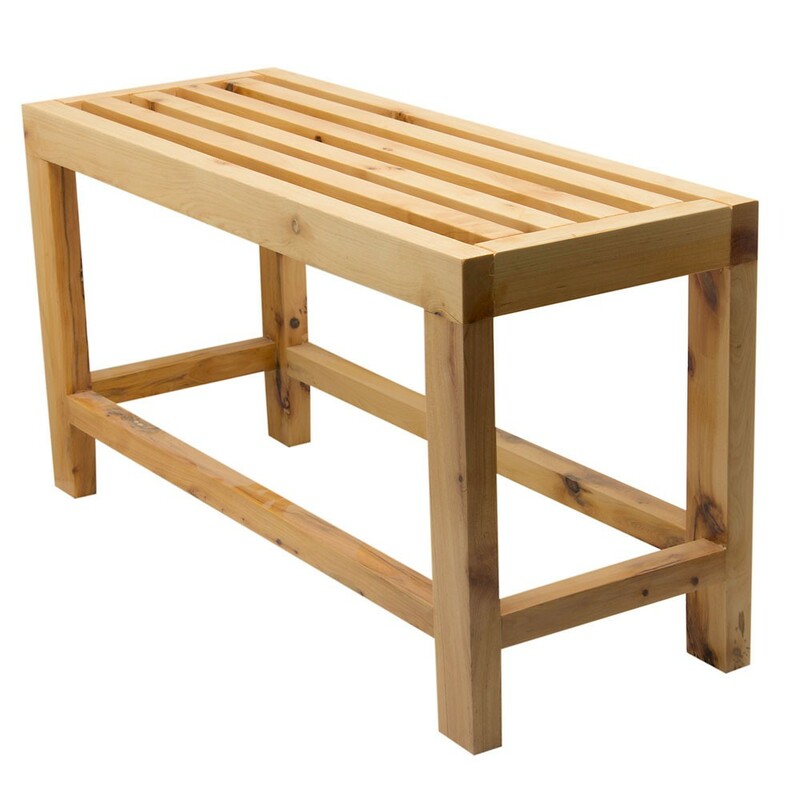 A bench makes it easier for common grooming tasks like washing your feet or shaving your legs. 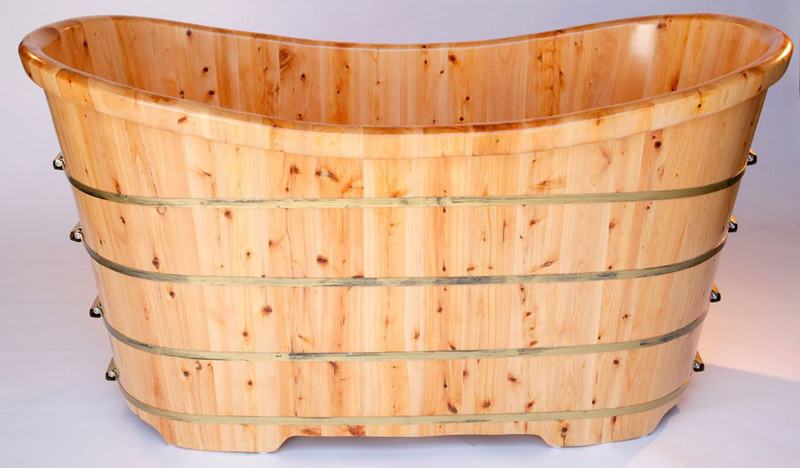 Bamboo is extremely sturdy and durable. Since it is a natural material, the colors formed in the sink vary from light to dark, adding depth and interest in the piece itself. 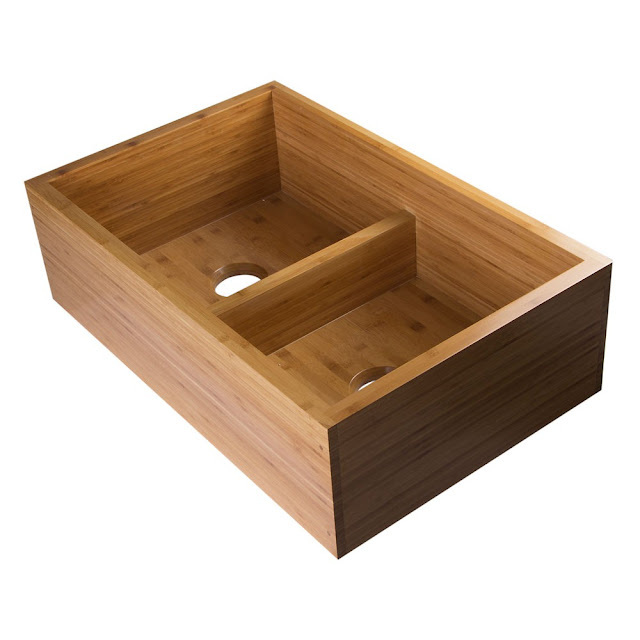 Incorporating this kind of sink with other rustic elements, such as sliding barn doors, wooden shutters or exposed beam ceilings will be the finishing touch to the entire design. Native Trails is a brand dedicated to re-purposing materials to create beautiful and functional products. 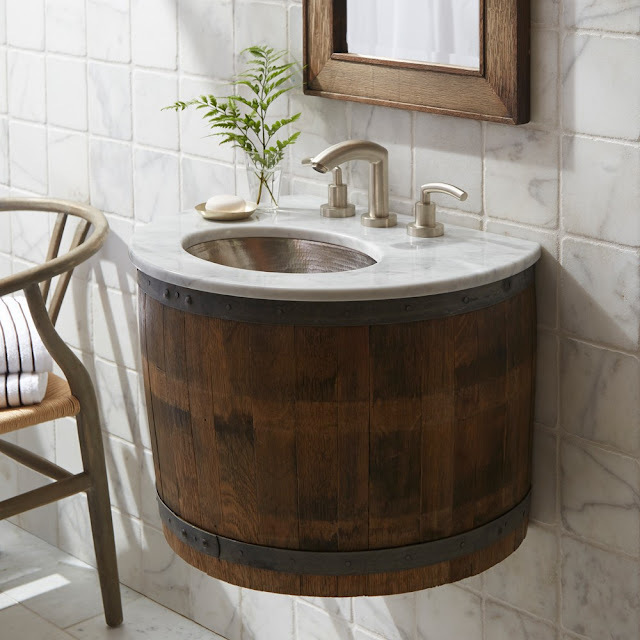 The Bordeaux Single Bowl Vanity Suite is constructed from reclaimed oak wine barrels, giving a unique character to the wood. The barrel design of the wall mounted vanity is the perfect addition to a log cabin or rustic styled bathroom. Storage is essential in a home. Using a recycled wood cabinet gives you room to organize and stays consistent with other rustic décor throughout the home. 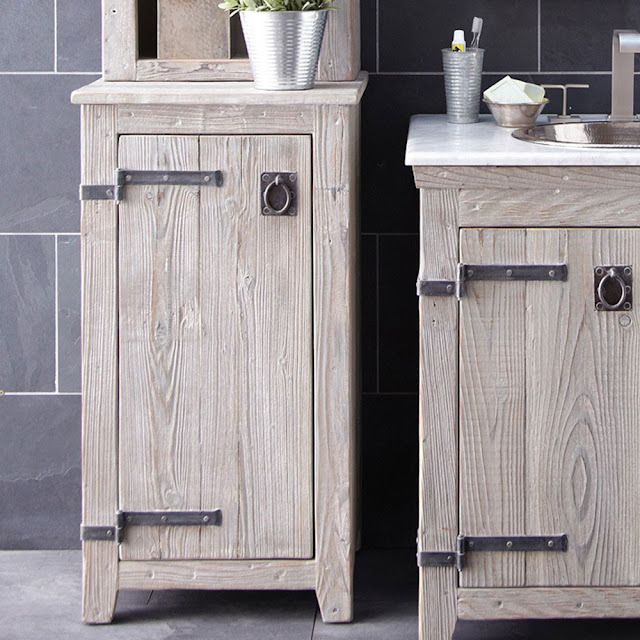 The Americana cabinet by Native Trails is accented with hand forged iron hinges and a door pull that would match other iron accents in the bathroom.